Ascending Butterfly: Simplify My Life Sweepstakes! - Win an HP 110 mini Netbook! - Comment and enter to win! Simplify My Life Sweepstakes! - Win an HP 110 mini Netbook! - Comment and enter to win! No New Entries will be accepted! Please remember, Ascending Butterfly is not selecting the winners, the host is HP via the Mom Bloggers Club. Entries will be judged by an esteemed panel of four judges starting on January 20. The grand prize winner will be announced on Friday, January 29, 2010. I will post a winners list as soon as it is made available to me. Good Luck in the random drawing! Don't you just love Twitter? It's filled with Viral Goodness that you just can't help but get caught up in! Something incredible hit my Twitter Feed today that I just couldn't resist sharing with all of you! HP is hosting a Simplify My Life Sweepstakes aimed at Busy Moms! The Prize is an HP mini 110 by Studio Tord Boontje with Windows 7 Home Premium. And here is the kicker, There are SIX prizes total, three bloggers will win and three random readers will win. This mean that just by commenting on this thread you will receive a chance to win an HP mini with Windows 7 Home Premium, how cool is that??? I am a member of the Mom Bloggers Club, and recently experienced the most horrible thing that can possibly happen to a blogger, yes that's right, the death of my cherished laptop! Say it isn't so! And right in the heart of the holiday season too when budgets and patience are both stretched thin. But you know I'm all about finding the silver lining behind my dark clouds, and I figure that's why this giveaway was brought to my attention, it's my silver lining! And best still, the chain of good Karma it comes with. Someone let me know about it, and now by letting you all know about it you can enter to win just by commenting here. Share your busy day with us and let us know how a Netbook would come to the rescue! Just don't netbook while driving! Ƹ̵̡Ӝ̵̨̄Ʒ - "Green mamas will love the fact that this computer has a 10.1 inch mercury free LED backlit display for increased efficiency" (quote from reviewer: Felicia Carter -GoGrahamGo.com) We love all things green at Ascending Butterfly. We are all about leaving the earth better than we found it! You must be a member of the Mom Bloggers Club, at least 18 years of age, and a resident of the US or Canada to enter. Deadline for entries is January 20, 2010 at midnight ET. Entries will be judged by an esteemed panel of four judges starting on January 20. The grand prize winner will be announced on Friday, January 29, 2010. By participating in this promotion, I certify that no intellectual property rights were violated, with the exception of verbatim inclusion of provided messaging, photos, or video. All content is expressly owned by me. This is a NON-Compensated post! wow..what a great Sweepstakes! I'm a follower on twitter and facebook. This is just what the doctor ordered! I could sure use an HP netbook. I'm a teacher and I'm constantly on the go. I have to grade papers and enter grades at the ballpark. I'm writing notes to parents while in the car. And my blog could sure use some work but I'm rarely home to have the time to sit down at the desktop. A netbook would make all the difference. I only have a desk top so being able to move around and use the computer would be an amazing plus with an active toddler. Looks like my number will be #1. This will simplify my life because I only have a desktop and I will be able to use this great HP 110 mini Netbook everywhere. Thanks for the contest. I'd use this for all my daily computing needs!! As a full-time mom for no pay and a part-time consultant for pay in serious need of a laptop I can travel with and take on the go with the kids. My old one from business school was too bulky and I haven't touched it in years. This one is a beauty and would be proud to show it off. I could really use this Netbook to keep up with my blogs and email while I'm running errands, shopping, running back and forth to work, etc. Ascending like a butterfly I wake up every morning looking for ways to simplify, simplify, simplify. This prize would go a long way to help this butterfly. My brother is out of work and could really use one of these. Sure would love to be able to go everywhere with this. Thanks for the chance :) and happy holidays! Don't know where my other post disappeared, so I'll comment again. Why would you waste time at the supermarket by twittering deals, I'd just want to get what I need and get out of there. This netbook would simplify my life simply by being mine so I can stop lusting after it. I have really been wanting one of these HP Netbooks! What a fantastic prize. I would use these for checking my emails daily and for doing work from home and when I'm traveling. Thank you so much for offering this very generous prize. My hubby travels all the time and this would be excellent for him to use. I could use the computer as we are always fighting to use this one at the same time. The HP mini will help me because it is small and light so I can take it with me and use it on the go. I know a HP Netbook would make all the difference with me also, while I am at home or on the go. I can quickly get to my photos and files,take notes, send a letter off to family, able to work on my scrapbooks while sitting and waiting for the kids at band or dance practice,very lightweight to take with me on the go. My husband has stolen my laptop (he's going back to school to become a paramedic). unfortunately, this leaves me with no computer to keep up with my certifications and continuing education credits - because not only am I a busy mom, I'm also a professional ICU nurse! This is so pretty. I just got one for my husband. now I am jealous. My laptop screen at the moment only works at a few angles ... and there's no telling when the rest of the screen positions will fail. I would carry the HP Netbook with me everywhere (and enjoy the functioning screen). I have an hp netbook and really love it. So does everyone else. That's the problem... everyone wants to borrow it! It's great for traveling, very fast and has a great touch on the nearly-full-size keyboard. Winning this one would mean I wouldn't have to give mine up in order to share. As a busy mom to 5 any way I can simplify would be awesome! Sadly no internet connections at the grocery store. LOL. An hp would be fantastic! This HP would Simplify My Life in many ways. I have been trying to win a laptop for sometime now. 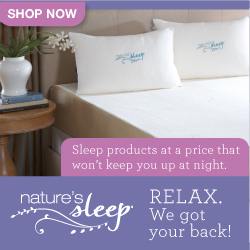 You see this would really help me move forward in launching my business. I'm working to change the lives of many children!Each time I go to a meeting I always have to use that company's computer in order for me to demonstrate my concept.This HP would give me a chance to present my business concept to many potential companies without feeling embarrassed about using there computers. This HP & it's functions would give me what I need to Simplify My Life! I don't know that any of the stores I shop in have wifi, but I would love to carry a netbook with me when I'm shopping. I don't buy much of anything without comparison shopping, and with a netbook, I wouldn't have to go all the way home; I'd just stop at the nearest restaurant with wifi. I am a mom of 2 that likes to have computer time but it is very hard to do so when my old desktop is in the back room away from what my mischievous monkeys are up to. This would help me to be where the "action" is at. This would be great to keep in touch with my kids while I'm on the go. Thanks for the chance! I joined your blog and newsletter and if I won this I could be pain free. I am disabled and work from home and with a netbook I could work from my recliner pain free!! This is a great laptop with a wonderful list of features. With it I would save my husband a ton of money. I would communicate with our sons who both live in other states(save on phone bill), I could print lots of coupons(save money at the grocery and stores), I could make cards and gifts online(save more), and I could search travel sites and compare deals(save lots more). The ideas are limitless. I would really like a laptop to keep in contact with my husband when he travels. I am usually quite eco-conscious so it pains me to print recipes off of my PC (located upstairs) to take down to my kitchen to cook as I try to cook/bake from scratch and often need inspiration from other cooks. And it's not very easy to run up and down the stairs as I am adding ingredients. If I had this laptop I could keep it in the kitchen with me and save paper (and energy - the features ROCK!!) and simplify my life. Thanks HP and Ascending Butterfly! Its such a hassle the few times I travel to take a large laptop on the airlines. It would be great to have something lighter and smaller to travel with. This would be great to carry with me when I travel, especially! Thanks for the chance. This light weight HP netbook can help me shop and not overdraw my account since with it I can check my balance. I would use this to keep track of all my sweepstakes! Thanks so much! I travel all the time and this would be excellent for me! I would love to be able to Twitter and receive and send email on my personal computer. I hope I win a computer I've been entering sweeps for 3 years but haven't won a comuter or cell phone yet. This laptop would allow me to organize my household, including recipes in the kitchen, bills and appointments. And, I could give my old one to my mom! Me and my husband are currently looking to buy a new computer. The laptop we had was damaged due to it being dropped. We were looking at some laptops the other day, and I have to say the HP laptops really caught my eye. The first thing that caught my eye was the amazing graphics. Next was the battery life, and the built in hard drive protection is a huge plus, considering what happened to my last laptop. We are currently using an old computer a friend let us borrow, and the graphics are so bad. The screen looks so dark that I really can not enjoy doing things as much as I would like. The HP offers so much at a very reasonable price. Thank you for offering this great giveaway! This super light HP min Netbook would make my life so much easier. I have carpal tunnel syndrome in both wrists, mostly affected on the left and it is constantly going numb, so a lighter and smaller notebook computer would certainly help me out with carrying it from place to place. I would not have to wrestle my three kids over the one and only computer we have in the house if i had one of these for sure!! I am self employed and work from home and on the road. This netbook is so small and light that it would be perfect to take with me where ever I go so that I can always respond to clients within a reasonable time. Oh the possibilities with a netbook! I could get so much work done while still watching the kids. I am going to be taking some night classes to finish my degree in the near future. This netbook would be great for taking notes on in class. Lets just say I can not read my own writing so typing notes is a must if i want to pass the class! I do a lot of traveling, so this would be really handy. Thanks for the chance. I'm a supermom and an online business student but my laptop was recently broken. Right now I'm using my son's laptop. HP is so great, it would be terrific to win their innovatively designed netbook for my online classes, for paying my bills, checking for sales before shopping and for checking my email. I would love to use this computer for smoothing out my day as a busy mom. Thanks, HP, for the chance to make my life easier. I am the full time caregiver of my terminally ill 87 year old mother. She spends a lot of time in hospitals for chemotherapy and blood transfusions and as a patient. I am always by her side. When she falls asleep during treatment I am often just sitting there with nothing to do. I don't have a laptop so this would be perfect for staying in touch with family and friends. This is a very generous offer from HP to provide this prize. I am new to this site and I feel like I have hit the jackpot with an uplifting, inspirational site. Coincidentally, I am a butterfly addict and have butterfly ornaments and windchimes, etc all over my house. I find butterflies to be the most innocent creature on earth. They never hurt anybody and just flit from one flower to another. The HP mini 110 notebook will help simplify my life by allowing me to keep all of our kids schedules as well as ours straight so we have no conflicts. At the same time allowing me to work on my up and coming Blog. I can concentrate on content and design while still attending school functions, practices, games, and lessons as well as enabling me to keep appointments and engagements. Literally being in two places at once! Supporting my family in their activities while still working is ideal. Multi-tasking is the only way to do things these days and the HP 110 mini will help me do just that! I can use this to move around the house and still stay connected. My PC is my lifeline to everything! I've never owned a laptop before and would love to win one! This one is so sleek and beautiful, too. 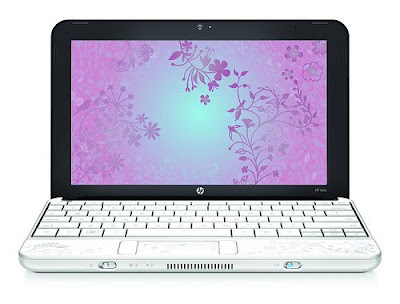 The HP 110 Mini 110 Netbook would be great for keeping up with family and friends while in the go. Something this small would be really convenient for me since I need a computer for work and I walk/take the bus to work every day. My old laptop was actually stolen recently so I would love a new one! Good luck! I am a busy mom turned into an equally busy grandma! I babysit, traveling to do so and the HP 110 Mini Netbook would be so helpful in keeping up with my 9 kids & 27+ grandchildren as well as my other obligations and fun things too! I would use this to catch up on all my computer stuff at work. The HP Mini 110 would be great to be able to connect to the web from almost anywhere. My laptop will not connect to the internet wirelessly any more. I would love to win. Thanks. I have really been wanting one of these HP Netbooks! What a fantastic prize ~ Thanks HP. I would use these for checking my emails daily and for doing work from home and when I'm traveling. I am quite impressed with the technology of this Mini. It's light and powerful. Ideal for my small business. Great machine. Happy New Year all. This would be the best help I have ever had. Not only do I take care of two grandsons I also have a poultry farm to run. I'm on the run alot so this would really help! I am in great need of this great item since I will be going through back surgery soon and will not be able to sit at my computer. This would enable me to help my kid and still keep in touch with the world. I am in serious need of a laptop! My desktop died and I have been unable to work since. I use my daughters laptop when she visits but it doesn't help when she's not here. I would love the portability of a laptop, then I would no longer be chained to my desk. I really want to win! I know an HP Mini 110 with Windows 7 would definitely simplify my life! Being a single mom of four, I’m always on the go, running the kids here and there and everywhere. Since I work online, I would be able to work from virtually anywhere with a Tord Mini, for instance, waiting during soccer practice or between wrestling matches! And the HP Mini is so thin that it would fit in my handbag! I could really use this! Im studying to be a teacher and it would help keep me organized! Fantastic!! I've been wanting one of these minis ever since I first heard about them. Sure beats lugging around that big old heavy laptop!! I love Tord Boontje! His lacy papercut designs are super cool, I love the way they blend old fashioned craft with modern technology. Obviously, this new collaboration with HP is a great example… I’d love to try the HP Mini even though I am usually a Mac girl! I have five children, two of which are in college, I still have three under my wing. We homeschool our children and this Hp would be a great asset to our homeschooling and to my giveaway entries that I work on daily. I stay busy on the computer a huge amount of time in a day so of course my family would love to have another form of access to their social networks online. This could also be a great asset to the boys in college. I will have to pray about that one. Either way, this would be an awesome win and I am looking forward to being entered and contacted through email letting me know on January 29th that I am the proud new owner of a brand new Hp laptop. Thanks for this awesome opportunity to enter this giveaway. This HP 100 Mini netbook would be a blessing to our family as we only have one old desktop to share amongst our family of 7. We rely heavily on spreadsheets, lists,email and schedules, etc. to streamline our day to day activities, and the portability of the HP 100 mini would make it so effortless and stylish. Plus, mobile computing would be perfect to pass the time--when time stands still--like when waiting in a doctor's office! What I like about the HP 110 is that it can be carried in a backpack and taken to the public library for free wi-fi. Small is good. oh wow i would LOVE to win this!! i need a laptop for my blog at me and bella. My old laptop died a while ago.. aggh! crossing my fingers!! I could really use this HP 110. I am a very busy Mom of two teenage sons and am constantly on the go. This would be great to take along with me and I could check my email on the go! I would use it for shopping,email,organizing my budget, and recipes. I homeschool and also attend college full time so I know this little cutie could simplify my life in amazing ways! I'd use this netbook to stay informed on my kids progress at school, scheduling my chauffeur duties, and shopping for deals on school supplies. I would love to have a HP Netbook to free up my computer time. It would be nice to compute in bed, kitchen or dinning room table or even in the car. This would be so slick - so portable, so can use it in the kitchen or on the road. Very nice sweepstakes, thanks. Wow! What a great prize! I currently have a large-screen HP laptop that I think is great, but it is bulky carrying it around everywhere. As you say, Wi-Fi is practically everywhere (grocery stores, coffee shops, fast-food places, etc.) and the HP Mini would be a great way to stay connected. Thanks for the chance to win this great prize! I culd use a new laptop so badly. This netbook is so cute, the design is sleek, and it's perfect for travel! this would be great for me because my new place is so small and a small computer would be great. I MUST have this laptop! I love to write and have to have it!!! I'd love to be able to use this while traveling instead of having to carry my friend's laptop through airport security! I would love to win this! It would get the boyfriend and kids off my computer... all they want to do it play on the net anyway. It would be so convenient to have a netbook, and this one is so pretty. Well, homeschooling our (soon to be) 10 children would simply be easier with a second computer. Thanks for the opportunity. This would be so handy to have! I could have it in the kitchen to look up recipes. My daughter could use it for research projects for school. Yes I probably would have to hide in the bathroom to use my laptop too as that is my only sanctuary sometimes..hope it's waterproof haha. This would simplify my life so much..no more being tied down to the desktop..no more running back and forth when I'm trying a new recipe or diagnosing a sick kid or pup..not to mention the new laptop will be a gazillion times faster than this ancient desktop..no more waiting and waiting for pages to load!! I hope you're a winner even if I'm not ..can't imagine blogging without one! I could so use a upgraded laptop half of the letters on my keys are missing LOL after 6 yrs this one has had its better days. I have seen this HP laptop in stores and it is sooo sweet thanks HP and Ascendingbutterfly for giving someone a chance at winning such a great laptop. I'd love to win one too!! These are probably the most beautiful netbooks I have ever seen!! This is such a fabulous giveaway, I am stuck in a corner of a room on my desktop. I am limited with space and I have never been able to tweet , check emails or send out anything outside of the home. How helpful this would be and to have. I would have one, but the money is not there. Thanks for the opportunity! I sure could use this so I dont have to share a computer with 4 kids anymore. I need to win this Hp 110 Mini Netbook to keep my sanity! LOL I only have a desktop and everyone fights over it to use it. My kids need the computer for homework, my husband needs it to check his email and runs a few websites and I need it to ready your blog more without anyone complaining for me to get off the computer, it would really come in handy at my house. I'm a follower on Google Friends Connect & twitter. This HP is awesome, and just what I would love to own. It is small, light weight, and it would be easy for me to carry around where ever I go. I love the colors of this HP too. I pray that I could win one of these. OMG Tracy. I could so use this. Now that we're full time caregivers for my 89 yr old MIL we spend a lot of time at Drs. offices. This would help me in so many ways. Keeping track of her appointments, catching up on both reading blogs and writing my own. All my fingers and toes are crossed! I've tried to be such a good girl all year and this would be the Christmas gift that I never got this year. (and the 21 year anniversary gift I never got too) LOL. I could so use this too. Love how cute it is and am very happy with my home HP PC. I have a laptop but it is heavy to lug many places. Please enter me in this contest too. Thanks. My laptop just died and it's a serious pain and cramp in my blogging and social life having to wait until my husband gets home from work to use his laptop or be lucky enough to have him leave it at home for me for the day. I would be so incredibly appreciative of this! This would be ideal for my house! Two kids, two computers. Yesterday I actually had to watch football because both of my kids had comandeered the two computers! sigh! I've never owned a laptop although my grown sons each have one and love them. I share a desktop with my husband and 13 year old daughter so my computer time is mighty limited. I'd love the convenience of taking a laptop wherever I go as well as sitting on the couch while the family watches tv and being able to go online. Ooooh. This is such a great giveaway! I would love to have a netbook to carry with me wherever I go. Laptops are so big & heavy. This would be just right to slip in my purse. Thanks for the great giveaway HP! And thanks for hosting Ascending Butterfly! Sorry about your laptop. Sounds like you and I could both use to win an HP 110 mini netbook. I just love how light it is (2.35lbs). I could fit it in one of my stylish over sized designer purses & take it everywhere with me. What a dream come true for me because I work full-time, but am out in the field a lot. It would be great to just type up my work or shoot of an email or even read a blog when I'm out and about. Having an HP mini netbook sure would simplify my life as I would be more efficient and connected with all that I manage. Good Luck! This HP notebook would help me better balance work, school, and my mommy duties. So cool. I could use this everywhere instead of my husbands work laptop. *USE FOR MY BUSINESS I AM STARTING AT HOME SOON. *USE TO FREE UP THIS OTHER COMPUTER SO IT CAN BE USED BY OTHERS ALSO INSTEAD OF ME HOARDING THIS ONE ALL THE TIME. *USE IN A QUIET PLACE TO REGAIN A PIECE OF MIND WITHOUT THE BACKGROUND NOISE AND PUT ON WIRELESS SO I DON'T LOSE ALL MY MOMMY SENSE. *USE TO GET PHOTOSHOP AND DREAMWEAVER DOWN BE CAUSE ADOBE MADE THEM COMPLEX AND DIFFICULT. *USE TO ENTER MORE CONTESTS BECAUSE THAT IS WHAT I DO AND HOPEFULLY SCORE ME A BIG WIN OF SOMETHING MEMORABLE THAT WILL LAST A LONG TIME. I would so love to win this so I could blog about our transatlantic cruise when we take it in April! I am always looking things up on the go, and the HP mini Netbook would be so much more convenient! I don't own a laptop and I really could use one. I feel so disconected when I leave the house, that I find myself avoiding it. If I had one I could get out more. Thanks for a great giveaway! Since my laptop is on it's last legs (won't work unless it is plugged in-no outside portability factor, etc), and I am trying to start an internet business, this mini notebook would be such a blessing! I would like to have a small computer like this to be able to take anywhere for everyday tasks. I have a desktop which I have to share with 2 other people. If I won this it could be all mine. I would no longer have to wait in line to get online. I could do whatever needed to be done when ever I needed it done. This would make my life so much easier. My husband & I constantly fight over using the computer. We soo need a new computer & this would be perfect for him to have at school. If I had such a fine netbook as this HP 110 Mini Netbook I would be able to catch up on my email while relaxing and sharing the evening with my family, instead of being off in the den by myself. What a luxury that would be. Thank you for the chance to win. it would be cool to have your shopping list on the netbook with you in the grocery store! would love to win one too! The HP Mini 110 netbook would simplify my life by helping me surf the net faster, send my family pictures, help the kids with their homework and because it's so portable I can take it everywhere! It would simplify my life when I am waiting for the kids from girl scouts or t-ball I could get some work done so I could leave work earlier to make all the deadlines I have. I follow you on twitter and tweeted -- not sure if thats only for MOM bloggers thouogh but here is the link if not. The HP mini definitely will help me because it's small and light so I can take it everywhere with me. The HP Mini would really help me because I am battling Chronic Illness and have to repeatedly go lay down while waiting for dizziness and nauseousness to pass. I can access the net while laying down on the couch with an HP Mini! An HP Mini would help me take a bite out of battling MS! I could take it anywhere so it would help me. I love how small and convenient it is, I could bring it everywhere, thanks so much for the chance! The Tord HP Mini would really make my life simpler by being able to move freely around my home and still be connected to the internet to complete the daily task… emailing, blogging, search for information, etc. I wouldn't have to fight to get desktop time too! It would also be great to take to my many doctor appointments where there are times I have to sit and wait to see my doctor for an hour or more…. I could stay busy and pass the time more quickly by playing games, responding to email, etc. Good luck to you and I!!!! I'd love to have a netbook for use while I'm waiting for my in-laws -- I'm often called on to drive them shopping and I make sure there's a wifi hotspot where I take them. This would be perfect for me, I'd love to be able to get some work done while I'm waiting for my kids to finish piano lessons and dance. My son needs a mini for school. It would make his life easier by allowing him instant access to the internet. I would take it with me when I take my baby out for a stroll. on the off chance she falls asleep, I could get some work done! My kids totally take over our computer, so I'd love to win this so I can get on a computer when I need to ! This is a great looking netbook. I've wanted to get one for a while because they are so compact & convenient. It would be great to travel with & easy to use around town at any time. I could also freely use it anywhere in our home instead of being locked into the desktop that we have. Thanks for the opportunity! Right now, I am the caregiver for my daughter's children (as well as my own still at home) while she works and goes to school. They are tiny (10 months and 2 years), and being able to have a laptop would allow me a little more time to be able to check my email in the same room with them, as now I only have a desktop and it's in the dining room, which means I can only check my email or catch up on the news or surf or shop when they are sleeping. I am also going back to school next quarter (even this late in the game my skills need to be updated and I want to get an Accounting degree), and the laptop would be perfect for me to tote around to get homework and research done. I would love to win this--it'd be nice to have something small and portable I can use when our new baby comes any day now! I would love to have it because it's so portable. I'd have access to anything at any time. I would love this because it is lightweight and would be easy to take anywhere. The one thing I always wanted to do is teach math and science at a secondary school where I live (I firmly believe that we need good teachers that are still excited about teaching our future leaders) and I'm finally getting the opportunity to return to school to get my teaching certificate. This netbook would be the perfect accessory at school! Thanks to you and HP for offering the HP. It would make my day so much easier... and lighter! Over the holidays I got very sick so didn't use my computer as much, well I recently lost all my email on my accounts to a hacker who deleted them all. Because I used my oldest daughters laptop when she visited not knowing she had a hacker that had hacked her laptop. She sadly had her laptop crash and is unrepairable. My sad piece of pc is dying and very sick it crashes at least 8-10 times a day so that means a restart and makes my daily contest entering and email checking a very hectic routine. I can't get on twitter and tweet so I miss my friends, I can't get all my emails checked with out a crash and the worry I will lose email again. I would love to have this netbook so I could be portable on the go, less stressed, happy and get to tweet, email and more. I didn't get no christmas gifts this year so this would be so awesome. I would love to take this with me during genealogy research. I entered too! I would love to have one to help me organize my family and all the events, appointments that need to be scheduled! I don't have a computer at home and have to come to the library every other day. I need a computer at home! This would help! My laptop is 10 years old and just about to die. I desperately need a new computer and this would be great. I would love to win this. It's cute, portable and easy to bring everywhere. I travel a lot, both for work and with my family, and I always tote my huge, heavy laptop with me. The HP Mini 110 would make travel MUCH less cumbersome! Thank you. I would love love love to have my own netbook... something I didn't have to share. Seriously, though, I think this would be a super cool tool for getting myself organized. Well, a day ago I would have told you all about how I work online and despite the fact that my business in web design and blogging/blog design has suffered in the economy I always have managed to pay the bills and keep a roof over our heads but due to being self employed I don’t get out of the house much…in fact I don’t get out at all because I am the only one in my company so for 16hrs a day I work at my desk, on my couch or even in bed. Having a mini would at least enable me to get out and about and maybe spend a few hours a week in a coffee shop making new friends while conducting business. I desperately want to become less of a hermit. Today, I will tell you that my laptop is dead, as in completely dead, as in a black screen and nothing more and I really don’t know what I’m going to do because I just don’t have the cash to replace it. I’m sure I’ll find a way because I always do, where there’s a will there’s a way right? But it would certainly help me to get a living mini to work from! I work full time and have 2 kids at home. I would love to have something small and portable like this to take everywhere! I would love to have this to take with me when traveling. I would love to win this. My computer is on the outs. Thanks for such a great giveaway! I would love to win this because I am down after having had foot surgery and can only use my hubby's laptop of an evening. A true sweeper needs a laptop all the time so they don't miss out on sweepstakes! Dear HP I'd use this sweet netbook to smooth the bumps in my crazy day as a super busy mom to keep track of doctors appointments, grocery lists, errands and who I'm picking up, where and what time? Ahh it would be truly a blessing for me! I love this mini.... so darn cute and easy to carry with you anywhere! I love to travel and normally have no internet access while traveling. This awesome HP would be fantastic to keep in touch with family and friends and look up directions if needed, in a new place. Not t mention I could get my blog fix! Thank you for the EXCELLENT giveaway! I need this mini i'm a multitaskin momma who needs to take this little mini with her to save her life lol no really I have mommy brain! I have three teenagers, one who is in college and twin sons who are seniors in high school. We take turns on our computer right now. We have a timer by the computer and every one gets so much time. The HP Mini 110 Netbook could be for the kids and we wouldn't have to all beg for the computer at once. It would be a very useful item to get! Wow this netbook would make my life a ton easier, and I'm not exaggerating! I'm a 'do everything on the web' mom and when I am away from my desktop I can't do my best cause I can't compare items, etc...I sell a lot of stuff on ebay and I need to be able to see how much it's selling for BEFORE I buy it lol! My son is a super tech kid and he can't stand to be away from it for all my dumb chores, but if I had this he would be occupied everywhere there is wi-fi and that's almost everywhere we go! This would simplify my life because I no longer would have to wait my turn for the computer. It would also be great when traveling. This would help me so much. When I have to visit a rental property and take care of the maintenance and repairs or upgrades it would be so nice to be able to enter the transaction right away instead of letting it accumulate after I get home. Tax time would be much easier. I love the the size of it. I would be able to bring it to work and home. I am a teacher so it would be so convenient not more emailing my work to myself!